A lease is a contractually binding contract between a landlord and tenant, setting out the rights and responsibilities for each party throughout the course of the agreed tenure. Commercial leases can be very different to standard residential leases however and, as a result, it is important to seek professional legal advice when entering into one. 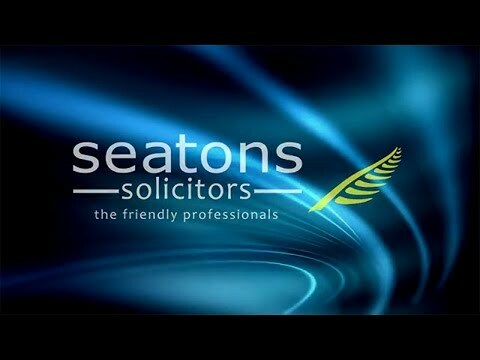 At Seatons, our team of highly trained legal advisors have a wealth of experience in Commercial Tenancies and provides clear, easy to understand legal advice at low sensible fees. For more information, feel free to give us a call on 01536 276300. Written leases are essential in order to document the agreement for the tenancy of commercial premises. Leases are typically highly detailed and aim to clearly set out the rights and obligations of either party. Commercial Leases are particularly detailed and cover a wider range of clauses than residential properties. There is usually no standard form and as a result, there is more of a scope for the landlord and tenant to negotiate on matters. Prior to signing a commercial lease, the tenant should ensure that the terms meet their business needs. Check that the length of the lease term is realistic with the proposed life span of the business. It is advisable for start-up businesses to negotiate a short lease firstly they encounter unforeseen financial difficulties with keeping up with rent repayments. Any lease longer than 7 years is required to be registered at the Land Registry, and this is an additional service which we can sort out for you. A lease comprises a variety of clauses, designed to cover various aspects of the tenancy arrangement. One very common clause is rent review. This usually sets a time period in which the landlord can decide whether to increase the rent due to economic surges in the property market. If a review cannot be agreed, an Independent Reviewer is often employed to make the final decision. Another clause usually included in business leases is the use of the property. Business leases are very strict in what the premises can be used for. A standard table is used detailing all the different types of businesses such as hotels, retail or offices. The lease will set out which categories can be used and whether the use can be changed with the landlord’s permission. Transferring the lease is also usually addressed within the contents. It will detail whether the tenant has the right to transfer the lease to a new owner. For example, the original tenant could enter financial difficulties and no longer be able to keep up with the payments. If the lease does not allow the tenant to assign, there could be financial consequences if the tenant cannot pay the rent. If you are thinking of renting out commercial premises, at Seatons we can draft a lease tailored to your best interests with a fast and efficient turnaround. We can also complete the additional legal formalities involved in the process. Should a lease already be in place, we also offer a specialist review service and ensure that the commercial tenancy is made to your advantage.